Discover the best top things to do in Troulos, Greece including Troulos Beach, Maratha Beach, La Bussola Bar, Kolios Beach, Achladies Water Sports & Boat Rental, Kanapitsa Beach, Iguana Pool Bar, Koukounaries Beach, Snack-Bar Zaharo, Tsougrias Beach. 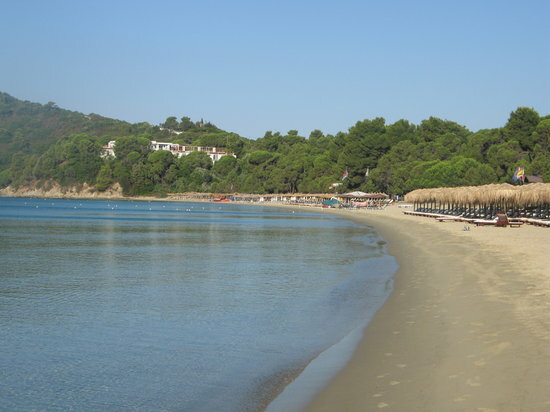 Koukounaries (Greek: Κουκουναριές, pronounced [kukunaˈrʝes]l "stone pines") is a location and a beach in the southwest part of the Skiathos island in Greece. It is 16 km southwest of the main town on the island. 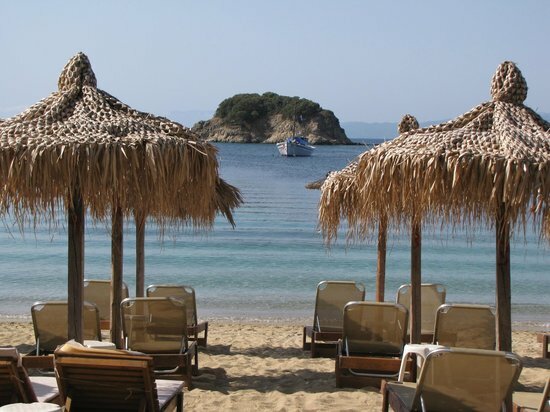 Skiathos is part of the Sporades group of islands in the Northern Aegean Sea.